If you live in a state that gets a fair amount of ice and snow, or the one that requires real-deal provisions (sup, North Dakota), layering is a skill you’ve got to master. If you’re someone who also happens to care about your clothes, well, you’ve got your work cut out for you. Assuming you don’t have a prince’s allowance to spend on clothes, here are some essential moves that will keep your body warm and your style on point, whether you’re heading to the office, going on a date, or just braving the walk to the corner store. Observe them all and you’ll be toasty until spring—just don’t forget a hat, scarf, and gloves! Just because it’s freezing outside doesn’t mean you can wear a ski jumpsuit to work every day of the week. Snow pants and your online dating game don’t exactly mesh either. To keep your body warm without losing any style cred, wear base layers under every outfit. A pair of running tights can do a lot to keep your legs warm when you’re wearing jeans. Sure, it makes getting undressed a little silly, but it sure beats freezing from the waist down all night. No matter what’s happening with the rest of your outfit, your outerwear game must be spot on when the weather dips below zero. 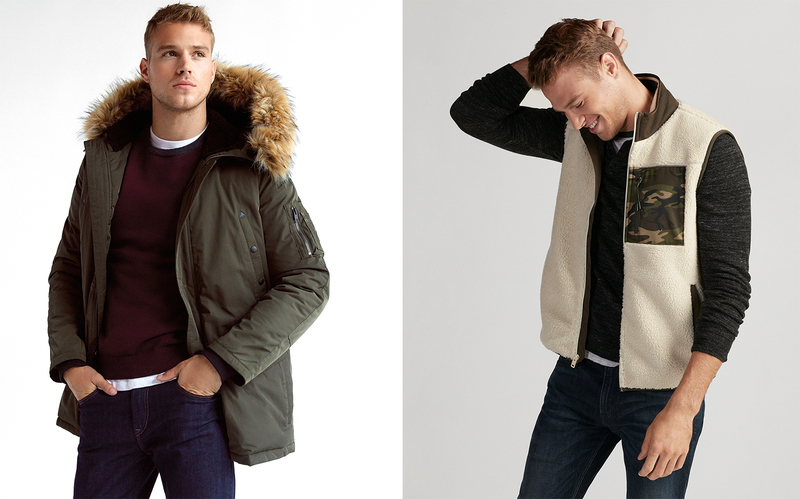 Reaching for a warm parka with a hood and big pockets is your first right move. 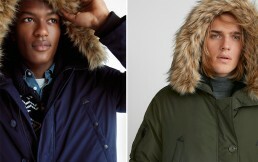 Layering a liner coat or sherpa vest underneath your coat to keep your core warm ensures you’ll be ready for the next Bomb Cyclone or just straight-up crazy snowstorm that comes your way. Merino and cotton cashmere sweaters not only look great with your slim-cut suits, chinos, and trousers, they’re also warmer than your typical dress shirts. The fibers used for these knits have a natural loft that helps to trap body heat. 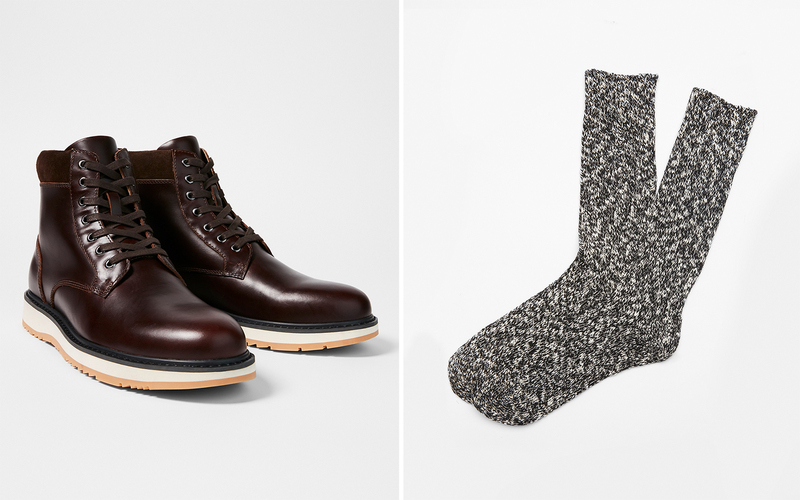 Knits also sit closer to the body than dress shirts, which help to keep you warm. 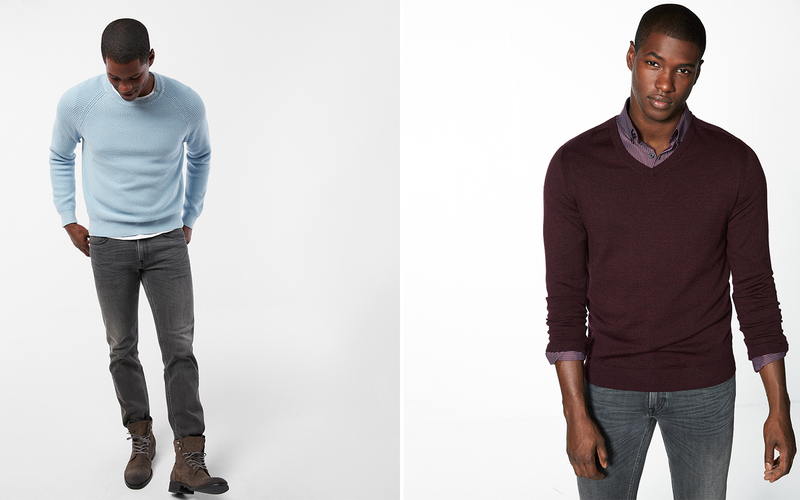 Wear an undershirt with your sweater and opt for turtleneck styles if you want to stay really toasty. If your feet are cold, you’re cold. Especially on more casual days when you can get away with rugged clothes, we recommend swapping your sneakers or leather-bottom shoes out for a pair of lace-up boots with a thick rubber sole. They’ll protect your feet from the icy ground and the occasional slush puddle while keeping your ankles warm too. Wear them with a thick cotton boot sock that comes up to your calf for added protection against the elements. We love pocket T-shirts as much as the next person, but chattering teeth are never a good look. 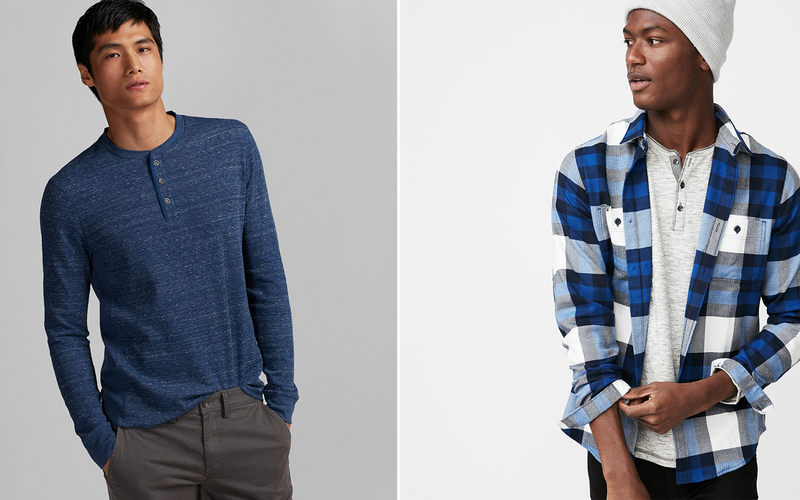 Swap your flimsiest shirts out for long-sleeve Henley worn under a thick sweater or cozy flannel shirt for a power combo that’ll keep you warmer than a space heater on full blast—well, almost anyway. This look also happens to look effortlessly cool, if you ask us. Like a guy who collects his own food and firewood instead of Instagram likes.